Now available for Team clutches. Drive Clutch springs are in constant motion, being subjected to compression, rebound, end to end radial torquing, distortion, and vibration. 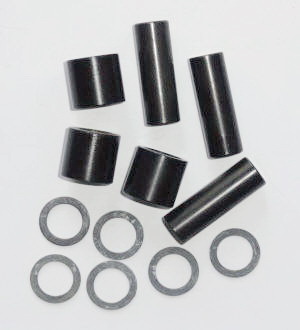 “Glide Washers” are custom made with a baked-on lubricity coating. 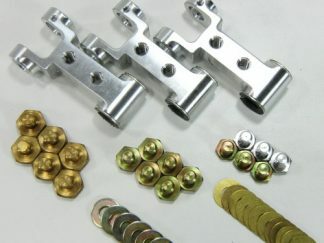 By placing a washer on each end of the spring it can no longer bind on the spyder or clutch cover. This frees up the spring to do its intended job. 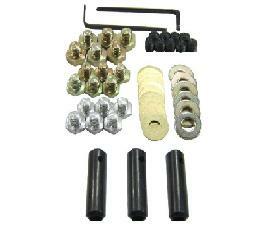 Each kit comes with 5 washers. 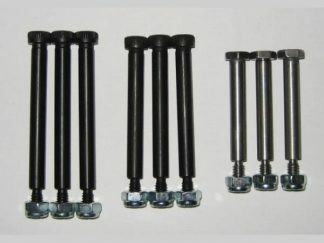 Two have a lubricity and rust proof coating and three are zinc plated to prevent rust. Each washer increases clutch engagement speed approximately 40 to 50 rpm’s which makes it a nice tuning tool. Have you ever noticed how some of the compression springs in a snowmobile clutch are sometimes twisted and deformed when you take a clutch apart for service? Most every technician has seen this, and often replaced springs due to their deformation. Besides the spring being twisted and deformed, what does this do to the performance? Well, the shift characteristics of the clutch and entire drive system is calibrated upon a known spring rate. If the spring is twisted and distorted, the drive system calibration is suffering. You know it. 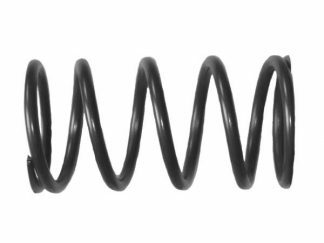 Clutch springs are in constant motion, being subjected to compression, expansion, end-to-end radial torque, vibration and distortion. One way to help the minimize the twisting forces and help keep the springs moving freely instead of binding is to allow the ends of the spring to move freely within the “spring pocket”, the capture area inside of the clutch. One solution to this problem is to install “Glide Washers”. 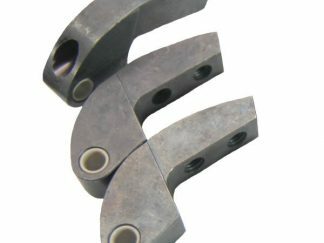 These steel shims act as slip-washers and are custom-made with a baked-on lubricity coating, and are far more durable than simple plastic washers. 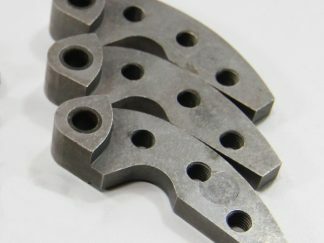 By placing a Glide Washer on each end of the spring, it is allowed to slip when required within the spring pocket, thus no longer able to bind on the spyder or clutch cover. The spring will remain straight and true, free to do its job. 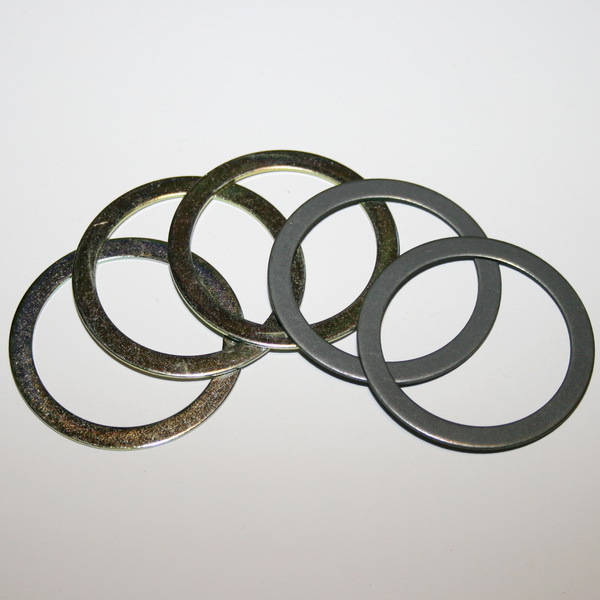 Thunder Products offers “Glide Washer” kits for all makes and most models that includes two lubricity washers and three additional zinc-plated washers for precision tuning. 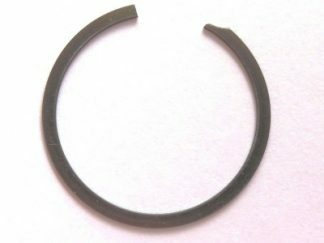 Each washer increases the spring preload and clutch engagement speed by 40-50 rpm, so along with the benefit of knowing your springs are not binding and staying aligned better you can do some tweaking along the way. Multi-tasking, of sorts.